We hope all our family , friends and visitors both virtual and 'real life' have a fabulous Christmas and a superb New Year. This month saw us return again to the Royal Welsh Showground for the Welsh Pony and Cob Society International Show. As this was the first time the show has been held in Wales we decided we simply had to support the show even though so close after the Royal Welsh we returned this time with Runshaw Heulwen who was to make her debut as a junior broodmare. We couldn't have asked for more from this lovely young mare on her first time from home with her much adored foal and although 1 judge loved her the other judge didn't so she was not placed but was a superb experience for all involved. Many thanks to Susie Bennett for handling her while I had her foal. Both boys behaved superbly and although Runshaw Superstar was not to the judges taste Churtoncroft Rhodri stood 10th in a big strong class which we are delighted with! The 2nd and final foal of 2011 is here !! The first foal of 2011 is here !! 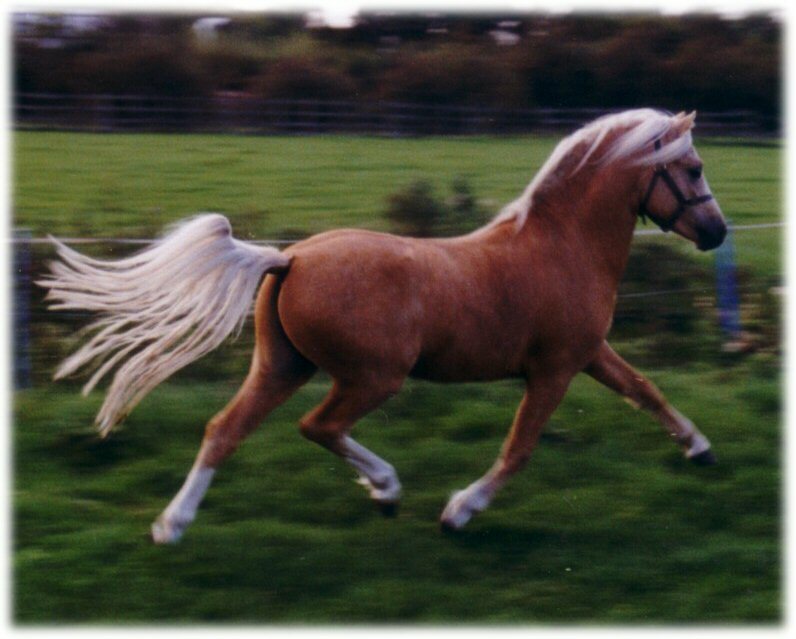 Check out the foals page for more info on the golden girl! 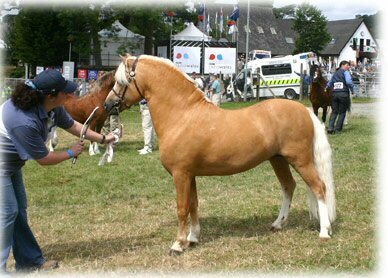 Picture taken as a 3yr old at the Royal Welsh Show were he stood 10th in a huge class! Available to lease/loan for the 2011 season! Making him half brother to our hugely successful mare Runshaw Heulwen! 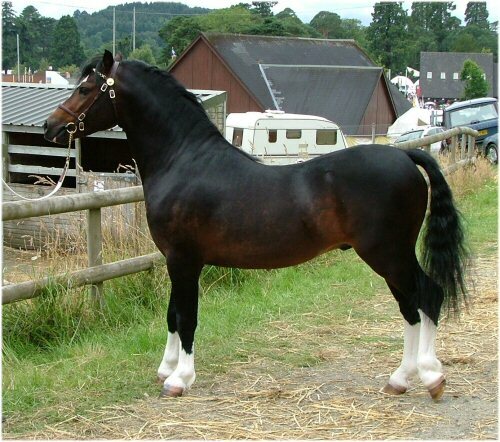 After a few seasons under saddle this beautiful stallion is now available to loan for the 2011 season! This month should see the arrival of the first foals of 2011 so watch this space and the foals page! 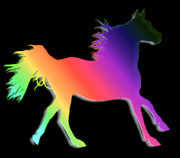 With mixed emotions we have said goodbye to 2 ponies this month aswell. Firstly saw the lovely colt from last year Runshaw Barrog leave for his new home in Ireland, we wish the Glenkee Stud lots of fun and success with this fabulous colt and their new venture. Secondly saw the lovely stallion Runshaw Rhyfeddod leave for Leicester for some welcome work and 'pony parties'. This lovely stallion thrives on work and although superbly bred and perfect for use within the stud he needs more out of life so has now gone for some fun and we wish him much fun and success. Once again we have been lucky to have some truly beautiful weather this month so not only have some of the ponies been put but so has the camera! A truly lovely and very promising young stallion sadly taken too soon in life. Heart felt sympathy from us to the Dunbar family on such a tragic and sad loss. A Chip off the old block??? The number 13 is Unlucky for some but hopefully not in this case as today saw the collection of the beautiful 3yr old colt Runshaw Brenin to embark on his journey to his new home in Spain. We wish his new owners the very best of luck in the future with this lovely colt.